This work of art is the unfiltered work of artist/photographer Eric M. Gustafson "Visual creativity - without limits." And it exists only for the sake of art itself. 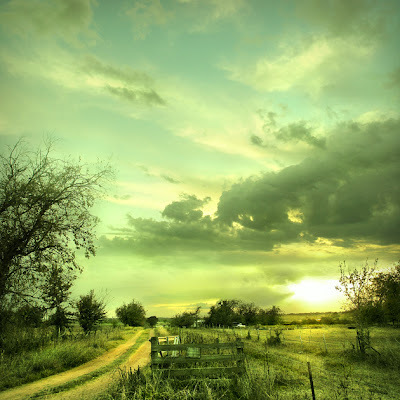 With only Olympus C8080 camera, a few filters, & a tripod, Eric drives to various locations & explores on foot. 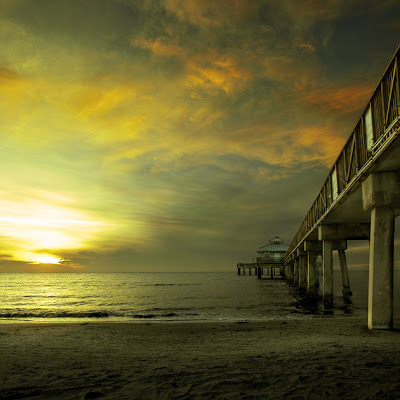 The sole purpose of his site is to serve it as a digital medium of art. How To Make A Shiny Ball Out Of Mud! Professor Fumio Kayo of the Kyoto University of Education, who researches children's play is behind the boom of "balls of mud that shine or hikaru dorodango". Once the Professor came across this in a nursery school & was so impressed that he himself wanted to devise a refined method & technique of making it. Though after 200 experiments & using his expertise, the Professor was finally able to devise a method of making it, which was easily followed by the children too. Once this new technique was taught & the children knew it, spent long hours to knead the mud & then polish it till they got their own mud ball that shines. 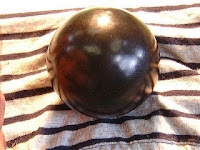 How to Make Shiny Ball "Dorodango"
"1. Pack some mud into your hand, and squeeze out the water while forming a sphere. 2. Add some dry dirt to the outside and continue to gently shape the mud into a sphere. 3. When the mass dries, pack it solid with your hands, and rub the surface until a smooth film begins to appear. 3. Rub your hands against the ground, patting and rubbing the fine, powdery dirt onto the sphere. Continue this for two hours. 4. Seal the ball in a plastic bag for three or four hours. Upon removing the sphere, repeat step 4, and then once again seal the sphere in a plastic bag. 5 Remove the ball from the bag, and if it is no longer wet, polish it with a cloth until it shines." It's simply amazing to know that you can really make a ball out of mud & make it shine too. At Kyoto University of Education you have in-depth information along with pictures & videos. Top 5 Eco Friendly Cars. Here are top five eco friendly vehicles to choose from. So what will be your choice? This is going to be the first high-performance solar vehicle to be commercialized in the world. 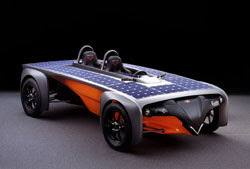 Venturi's Electro-Solar Hybrid car, the Astrolab has a top speed of 120 km/h & has a range of 110 km/h. e4, a battery-electric vehicle by GEM (Global Electric Motorcars, a Daimler Chrysler company), is a perfect solution for your leisure drives or visiting family & friends or for recreational drives. "Add one of the three optional, interchangeable carriers for exceptional functionality." It weighs just about 1,280 lbs. 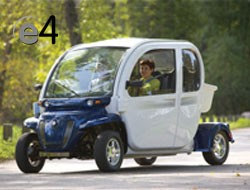 (Curb Weight), has a top speed of 25 mph, and has a range upto 30 miles. BMW 's 745h hydrogen powered vehicle is powered by a 4.4-liter V8, features bi-VANOS variable valve timing, Valvetronic variable intake runners, & a fully variable intake manifold. It can use either hydrogen or premium unleaded gasoline. "Running on hydrogen, the 745h produces 184 horsepower and can achieve a top speed of 133 mph. The cruising range is 190 miles. Added to the 400-mile range of the normal fuel tank, the 745h can go 600 miles between fill-ups." Auxiliary Power Unit (APU) operates on Polymer Electrolyte Membrane (PEM) fuel cell which are independent of the engine which means that your power accessories like air conditioning still can be operated when you shut down the engine. And you will be saving about a gallon of gas for every 235 miles in city driving conditions. This prototype can drive for 100 miles on only four ounces of water. "Technically, the car isn't running on water, because the H20 is converted to HHO gas. A car which run on compressed air? MiniCAT & CityCAT are the creations of MDI Group. MDI explains that 90m3 of compressed air is stored in fibre tanks. The engine is powered by compressed air, stored in a carbon-fiber tank at 30 MPa (4500 psi). The tank is made of carbon-fiber in order to reduce its weight. It has a fibre glass body which makes it a light & a silent car, which can reach a top speed of 220 km/h. Apart from this, here you don't have your regular speed gauges, instead there is a small computer screen which gives you all the information of speed & engine revo1utions. There is no more need to carry a key, instead you have an access card that can be read by the car from your pocket. 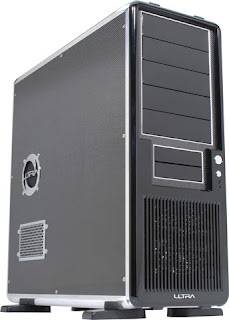 Listed here are some of the PC cases, which are unique in their own way. Choose the one that suits your style. Carbon fiber composite is used to make these Ultra Carbon Fiber Cases' panels. These carbon fibers are used in aircraft and race cars for years. The Ultra Carbon Fiber Case measures 20 ½" (height) x 19 ¾" (depth) x 8 ¼" (wide), & supports 5 x 3.5" internal drives, 2 x 3.5" external drives, and 5 x 5.25" external drives. 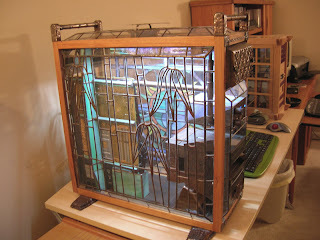 So this glass PC case is made from Copper, lead, wood & stained glass. What more is to be said, the looks are speaking aloud, we can add that it's an interesting stained glass PC case. Recyclable PC case manufactured by Lupo (Japanese company) is constructed entirely out of cardboard. What you need to do is just remove all the perforated sections of the respective parts & fold along the dotted lines & you have a perfectly functional biodegradable PC case. 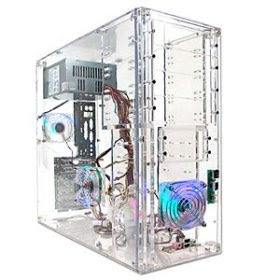 This is a transparent polycarbonate plastic case, featuring 11 drive bays which provides ample capacity for future expansion. "This sleek ATX computer also offers seven expansion slots and supports multiple motherboard configurations. Front-mounted USB ports, microphone and headphone make it easy when connecting peripherals. This sleek case has three 80 mm case fans that keep your case cool, and glows a bright colors when the system is in full operation." A perfect harmony of technology & nature crafted & united to be made a unique piece of work. 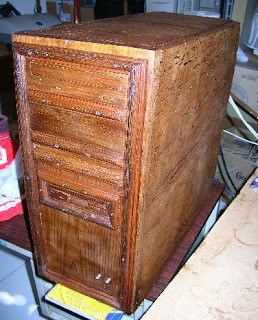 So why a hand-made computer out of wood? As there are very few of these in the world which makes them unique & as its made of wood, it give this wonderful look & is a symbol of unity of traditional methods with the latest advanced technology.